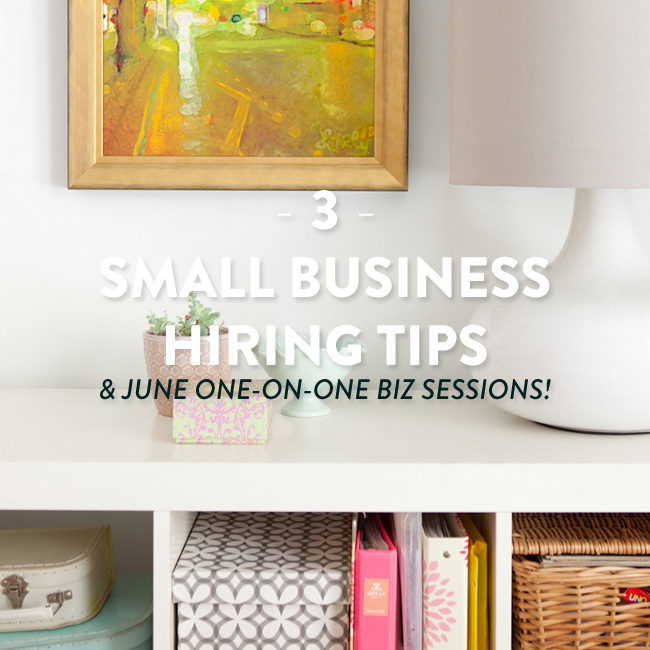 3 small business hiring tips + new june one-on-one biz sessions! Late last year, I closed the business consulting arm of my company to focus on Life with Intention Online, The Lively Show, one-on-one Intention Sessions, and another project that is under works. As I wrap up the hotel lobby design project this month, I’m going to begin re-launching Life with Intention Online in a longer (even more awesome!) format and start another major (still secret) project. And with all of these changes, I’m looking for a new partner in crime here in Chicago to help me make all of this happen – and take a few other areas of JessLively.com and The Lively Show to a new level. 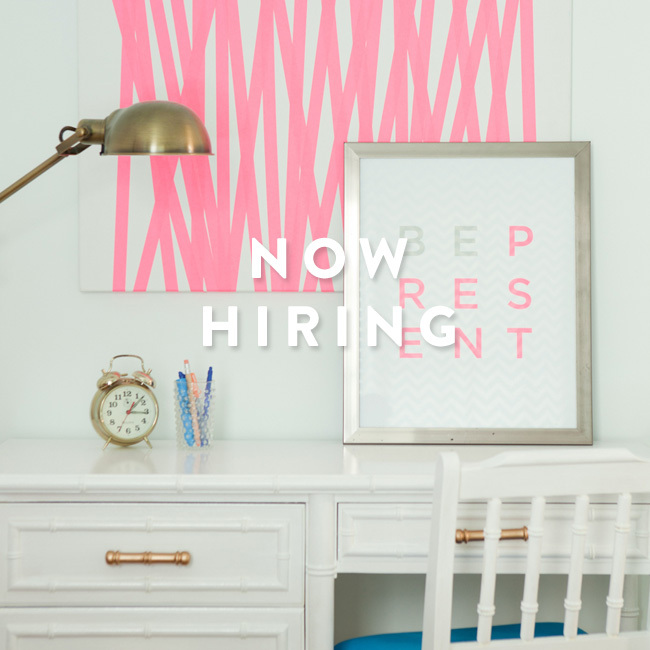 This position is paid, requires about 5-10 hours per week, is based in Chicago, and can be used for internship or school credit (though there is no specific age requirement). To kick off the new twice weekly format, I have three quick questions to ask you about the upcoming blog content and The Lively Show! Plus, I have a new free wallpaper for February! Up until now I’ve just been calling The Lively Show “the podcast,” but it’s time you know its full name. : ) Next Thursday I’ll have three new episodes to share! If you can take a second to tell me your thoughts on the topics below I’ll do my best to incorporate your ideas into future posts + podcast episodes! Thank you so much for your time and suggestions! Now that we are just a day away from February, I also have a new wallpaper! 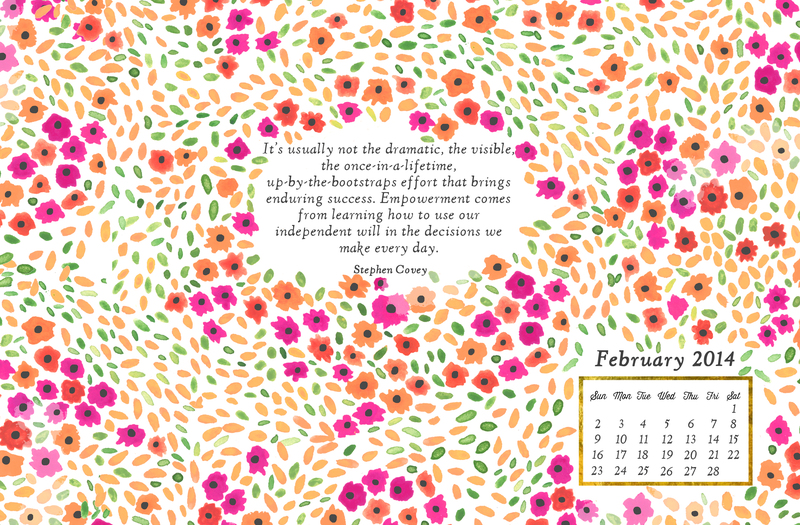 This month we have a Stephen Covey quote, placed on lovely warm background Joy made. It’s so happy that it makes the recent Polar Vortex that is Chicago (and pretty much everywhere else) seem a little more cheerful. Wallpaper designed by Joy Laforme for JessLively.com. 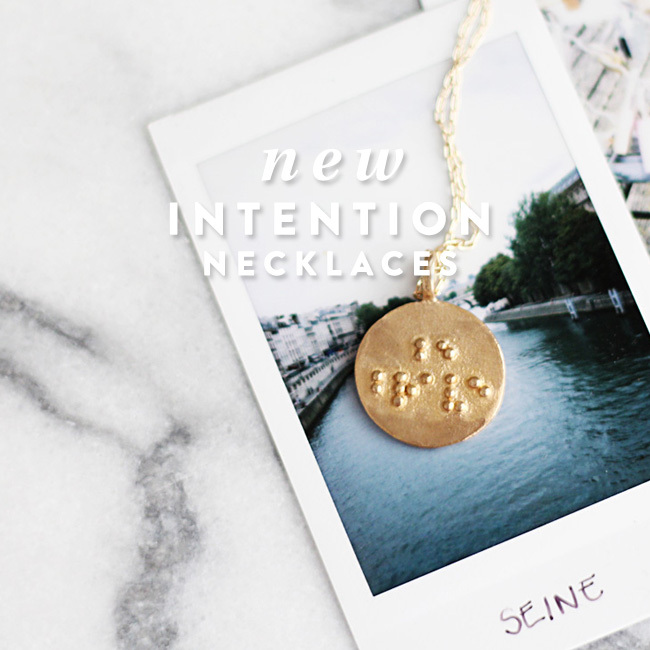 As many of you may have noticed after yesterday’s announcement, I launched a new With Intention site! It’s pretty, easy to use, and very mobile friendly – which is important as things keep moving in that direction. Anyways, I’ve also been working on another website redesign that I haven’t shared yet, the hotel! 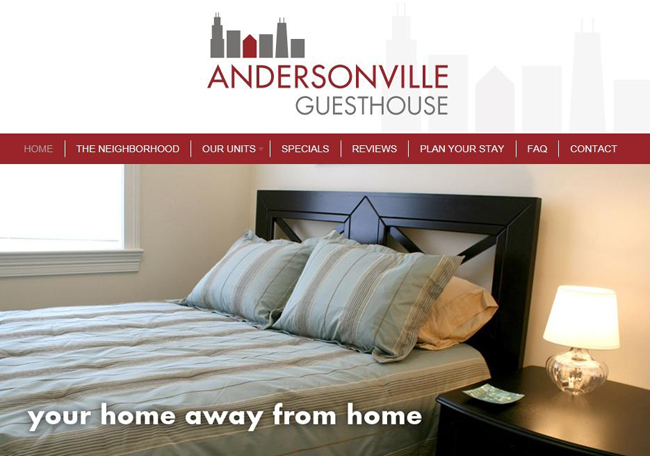 As you may have seen over the course of last year, I have been the Creative Director for a local boutique hotel in Andersonville called The Guesthouse Hotel. 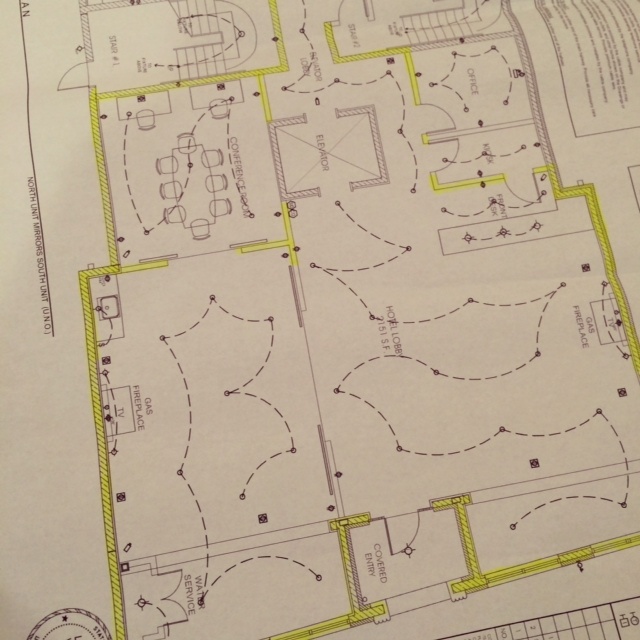 Last year I guided their brand redesign and website and this year I’ll be designing their new hotel lobby. 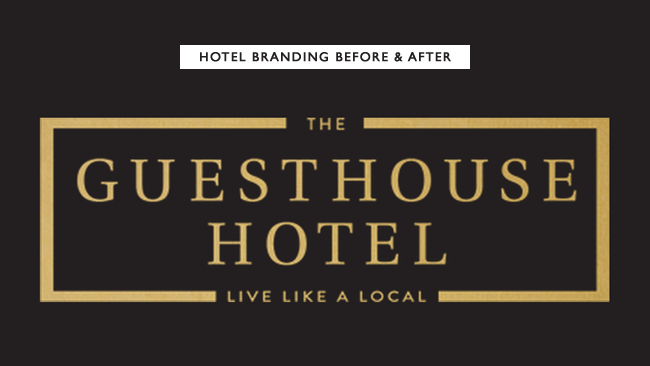 Here’s a quick look at the before and after at the logo and website (because there’s something so satisfying about a good before and after, right?). Though not bad, this logo was not quite hitting the right tone for the hotel. The same goes for the website. Clean and simple… but not extremely inviting. To set the right tone, we selected Alex Yeske to design the logo and business cards. Her eye for style was exactly the right tone for the new direction. What I love about this logo is how relatively timeless it is. We considered some other more popular font styles, but stuck with this classic design that won’t look dated in a few years. I personally designed the website and had Mr. Lively programmed it to life. It’s easy to use and sets a much nicer tone. I also encouraged the hotel to get new photos taken of the gorgeous units (they are actual condo-quality units with full gourmet kitchens, living rooms, etc.). For this job, I recommended Daniel Peter, a Chicago-based photographer who I’ve worked with over the years for my own business. Because the lobby is actually still being built from the ground up (literally! ), there is a lot to consider. But what was once an open hole last summer…. 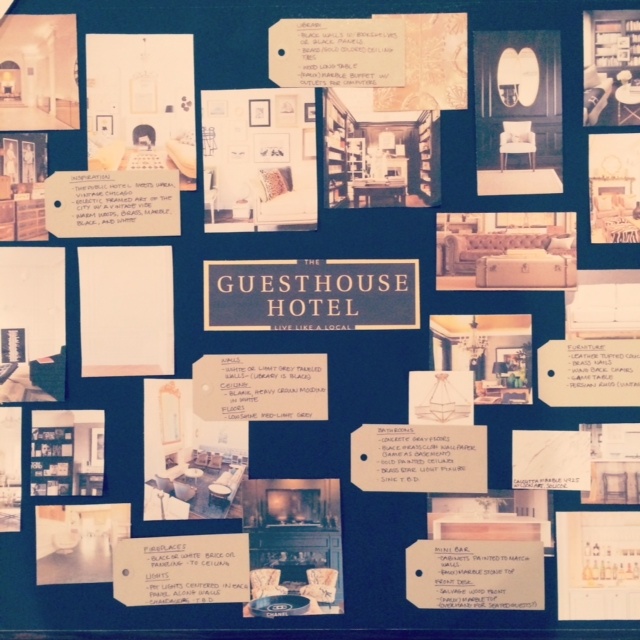 Above is a quick snapshot I took of the mood board I created for the lobby. As things come together over the next six months I’ll be sure to check in with some updates — if that’s something you’d like to see! PS – Thinking about signing up for a Life with Intention Online class? Each one is already almost 50% filled, so sign up soon to grab your spot. As you may know, my purpose for everything that I do is to help you to uncover your potential and live the life that you want on your own terms. This is why I write, work with clients, host workshops, and create products. One of the most recent ways that I’ve fulfilled this mission is through the Workshop At Home. It is so awesome to help new and budding business owners reveal their business’ potential and grow with intention – anywhere in the world at a more affordable price point than the live workshops. 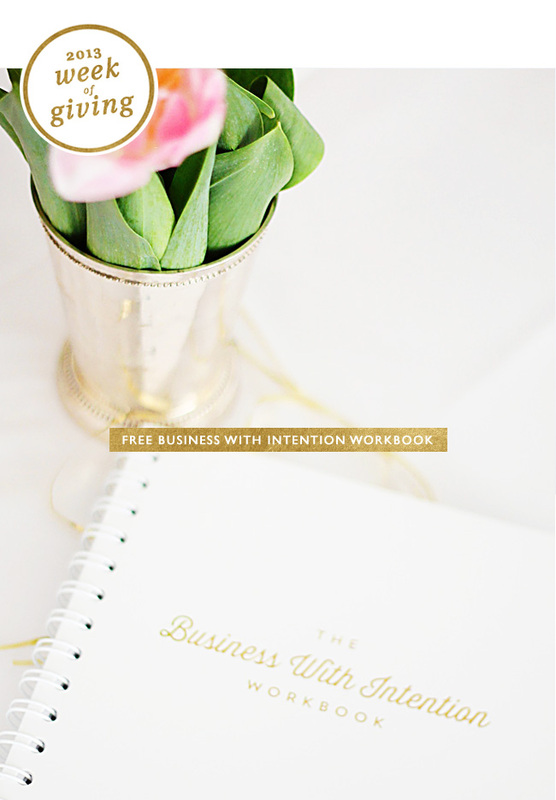 Over the last few months, I’ve had a few people reach out about purchasing the Business with Intention workbooks. I’ve never offered the workbooks on their own before simply because the workbooks are designed specifically for the live workshops and Workshop At Home. There are no instructions or advice in the workbooks and the answers to many of the workbook prompts are found in the three hours of workshop videos. However, I do think portions of the workbooks may be helpful, even without the video advice and suggestions. With that in mind, I have decided to give you the workbook for free during the Week of Giving! We have removed the bonuses found in the custom printed workbooks (intentional calendar, lined paper for notes, and contact list) for this PDF so you are able to print it out without using hundreds of sheets of paper. And we’ve included a few highlights from each workshop video in the chapters so you know what is covered in the full Workshop at Home that is not found in the workbook itself. And for those who want to get the full Workshop At Home – with three hours of advice, custom bound workbook, and tote – we have even included a Week of Giving discount in the back of the workbook! If you are looking to start a business or take the business you have to the next level in 2014, I hope you use the workbook to help clarify your intentions for your business. And if you are looking for specific, actionable advice from myself and many other talented online business owners, I recommend getting the Workshop At Home. The deadline has passed and the workbook is now available exclusively through the Workshop At Home. Thinking of doing The Workshop At Home? I am just starting to figure out how to start my business and was looking for direction. Watching these videos and going through the workbook not only made me feel inspired, but gave me real direction, and asked so many questions that I didn’t realize I needed to answer yet AND showed me how to answer them. 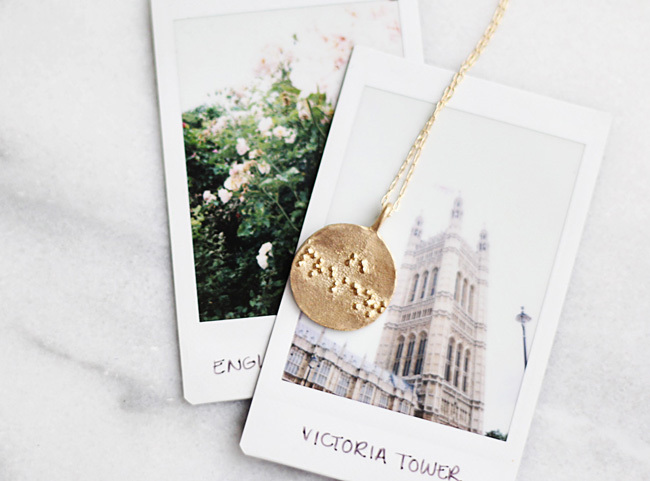 Inspired by the confetti used to celebrate life’s most special moments, Confetti by Annette’s line of handmade jewelry is designed with the spirit of celebrating yourself and your life every single day. Combining timeless designs with vivid colors, fresh twists, a dash of sparkle, and a pinch of playfulness, our pieces are handcrafted to bring whimsy and sophistication everywhere you go and in everything you do. PS – Special thanks goes out to Jackie for designing the workbook and Jen for helping me make this possible! About six months ago I asked my gut – for the first time ever – what I should do next with my career as an open-ended question. I expected to hear something like “more workshops,” “new consulting packages,” or something along those lines. But the answer I received was clear, concise and completely unexpected. Well, not nothing. Actually, a lot of things happened. 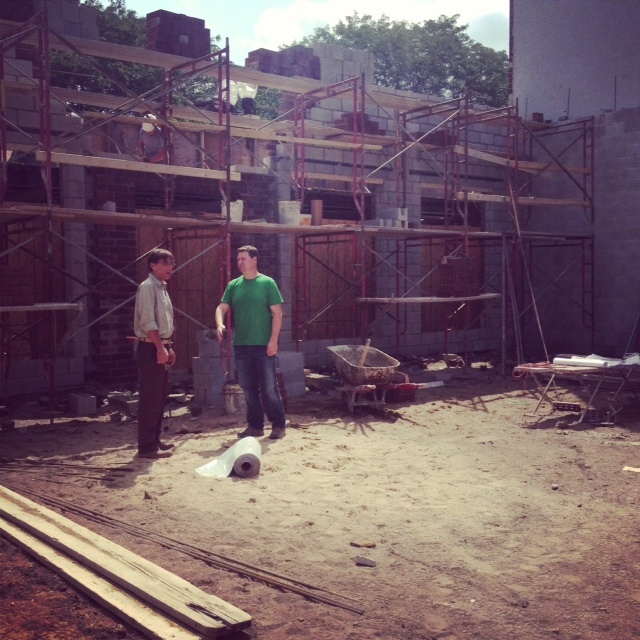 At first, I dove headfirst into this project. But after failing twelve times to get the very first step of this journey right, I started to get distracted with other projects. I focused on the Workshop At Home launch. 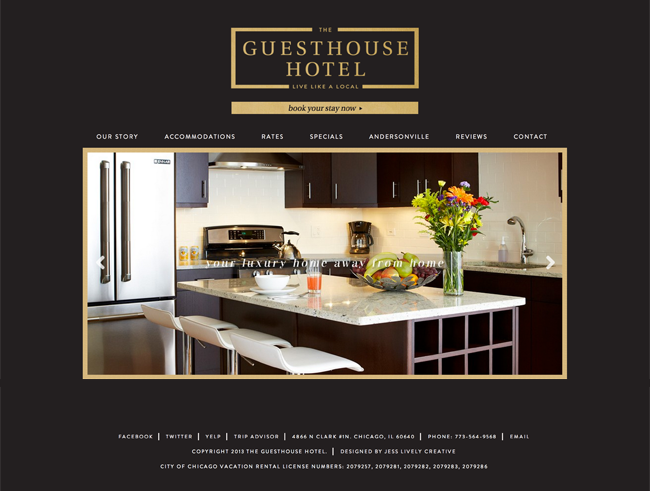 I did a lot of client design work and I worked on the hotel branding project. I did dozens of business consults. I prepped for the podcast launch. I got so busy with everything else that stalling on the gut-led project became “understandable.” And in turn, this created Resistance to the project as a whole. Of course, I didn’t see it that way at the time. While I was working on all of these different aspects of my career I told myself that I “didn’t have time” for the project my gut called me to do. Meanwhile, as the prospect of moving cross-country became a possibility, I became obsessed with the idea of shifting gears there. New city + new home = new career, right? But as you know, Seattle didn’t happen. Instead, I stayed in Chicago and implemented my “Seattle changes” here. I started eating healthier (no more TJ’s Mac and Cheese everyday for lunch), simplified my friendships, exfoliated unnecessary clutter, and lived like I wanted to in Seattle. But I still didn’t make the project my number one career priority. As I delayed my progress on the project last week, however, things started to unravel. It finally got to the point where I felt miserable. Not exactly depressed… just very down. I could see myself making all of the superficial changes that I wanted to make with the Seattle move, but deep down they were meaningless if I continued to stall on the real issue: not doing what I am called to do. So finally, I picked the project back up. Just a little each day. As long as I worked on it to some degree, I felt better. 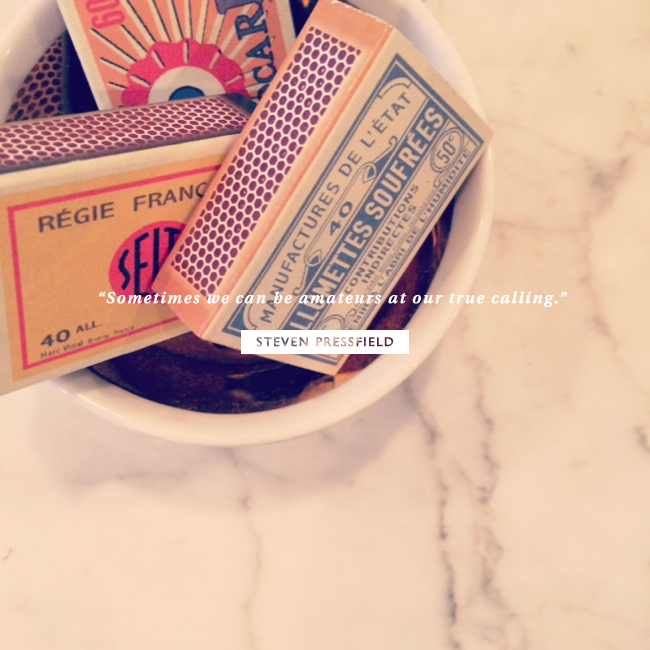 But as I read Turning Pro this morning, Mr. Pressfield hit a nerve. Rather than make sure I spend a few hours a day on what I am meant to do, I center my days around business consulting sessions. At first I told myself I needed to do this “for the income.” But really, that’s not the case. The Intention Sessions (which align with my project perfectly), hotel design work, and home design work provide ample income. And if necessary, we can tighten our budget for the time being. I also feared that if I dropped the business consulting options I would be disappointing those who want to work with me. People I could help. I wondered if people would think I was going off the deep end. I’ve learned over the last few months that people perceive me as a ‘business person who sometimes talks about life stuff’ — without the business advice, will they see what I do on the life side as valuable? And the most insidious fear of all was that I might not be good enough at the thing my gut told me to do. But today I’ve reached a breaking point. I know that if I delay on this project any further I will feel more miserable every day. I cannot keep caving to excuses and rationalizations any longer. Going forward (but perhaps not forever), I will no longer offer business consulting sessions. Those who have reached out to me already or have sessions on the calendar are still welcome to work with me. For those who are new, the Workshop At Home serves as a powerful course with tons of information for new business owners, and Wish I Knew offers insights for small business owners on a variety of topics. With the upcoming holidays, I am postponing the podcast launch until January, too. In the meantime, I am shifting my focus to my project first and foremost. I have a self-selected deadline to have the first milestone of this project completed by January 1st. Thank you so much for following me on this journey. Your continued support and encouragement on this winding road means a lot to me, and the minute I can share more details about this project, I will! As I mentioned a few weeks ago, I have been planning to roll out some new changes and this new offering marks a turning point in my career! Though many of us want to make positive changes and live with intention, what to do or how to do it is not always clear. At the deepest level, what do we truly want? How do we overcome the resistance we face on a daily basis? These three questions and their (sometimes surprising) answers contain the power to transform our lives in profoundly meaningful ways. But we cannot simply address these questions in one area of our lives and expect to thrive overall. When we are making forward progress in each area of our life – personal habits, possessions, relationships, and career – we are able to step out of our comfort zone and reach new levels of personally defined success. Our quality of life rises. Meanwhile, a barrier in one area may prevent our ability to move forward in another. Our lack of personal care may erode our effectiveness in our careers. Our struggle to maintain a healthy connection to our possessions may overshadow our desire to seek a fulfilling relationship. To truly live our best life, it is up to us to address each area. We cannot expect to blossom without caring for all of the needs of the bud. 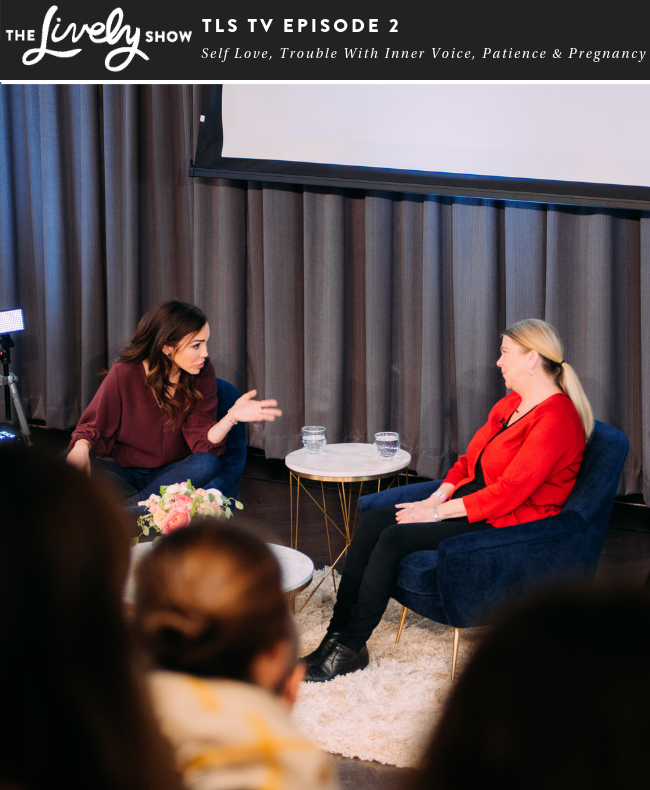 The Intention Sessions are designed to provide intentions (why we want what we want), action steps (what we need to do next), and mindsets (the power to overcome the challenges that will come up along the way) aligned with what we want most deeply. During our first 75-minute session together, we will do a deep dive into what you want, what your intentions for that area are, action steps to make them a reality, and methods to overcome the resistance you face when making those choices in your everyday life. Later, in our 20-minute follow-up we discuss your progress, questions, and adjust any steps as needed. – Pre-session reflection/homework covering the two areas you want to discuss. – One 75-minute session by phone (US) or Skype (internationally). – One 20-minute follow-up by phone (US) or Skype (internationally). – Audio recordings of our sessions. – A clear understanding of your intention for both areas, your next actions, and tools to overcome the resistance to making those changes in your life. 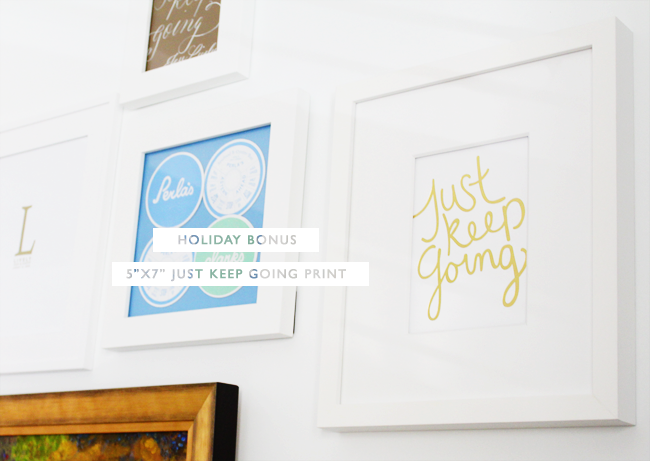 – Holiday Bonus: Between now and December 25, I am also offering a free 5″x7″ Just Keep Going print as a special gift for those who might be purchasing this package for themselves or a loved one for the holidays. To sign up, please email jess(at)with-intention.com or purchase as a gift! Thinking about doing The Intention Sessions with me? In the midst of big life changes (transition from a career job to full-time entrepreneurship), I treated myself to an Intention Session with Jess. I knew I needed a roadmap that would guide me in this new space in my life. Wow it delivered! After our session I have a clear big picture vision on how I wanted my life to look like in this new chapter. In our session, we identified my values and priorities, as well as brainstorm actions that would continue to support living my life with intention. Most importantly, I was able to see and celebrate the progress I have been able to make thus far and how easy and attainable the next steps could be. Visit Sheic Journals to ditch the boring brown or basic black writing journals and choose from a yummy assortment of colors. Use your journal as your new best friend to jot down your thoughts, to-dos or your wildest dreams! When I started this journey to help people design lives with intention seven years ago, I never imagined that my path would lead to many of the projects that have developed. A plan to write a book about “making under your life” after graduating college inspired me to grow my accessory line, Jess LC, full-time in Chicago so that I could be self-directed and write whenever I wanted. 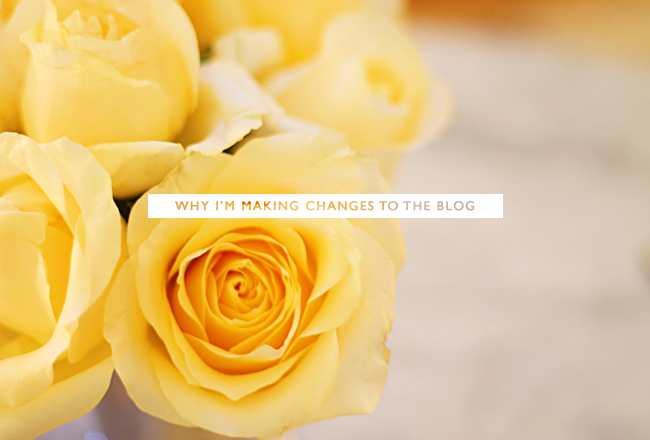 In 2009, two years after growing Jess LC in Chicago, I started this blog with the name “Makeunder My Life” in order to craft the book proposal. Three days into writing on the blog, I realized that I didn’t need to have a book or TV show to help people. I could help people everyday right from my tiny desk in my tiny studio apartment. 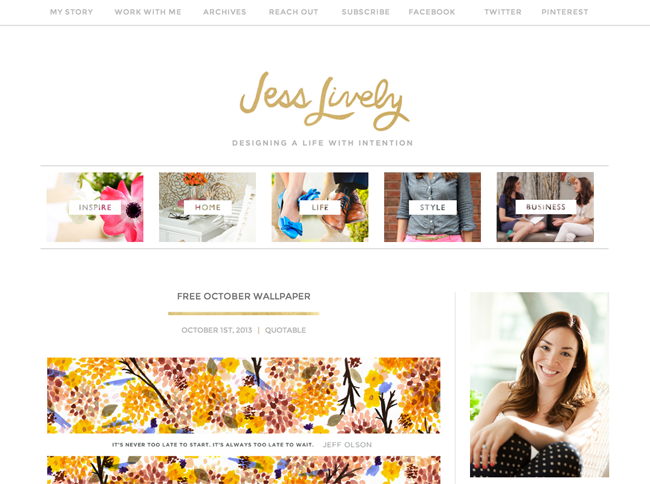 I threw myself into marketing Jess LC online and blogged about the topics I so desperately wanted to share. After devoting two years to the blog, I started to get inquiries from readers asking for business advice. Those requests sparked my business consulting services. By August of 2012, I was earning enough from the business consulting, blog ad revenue, and workshops, that I was able to close Jess LC and still provide the same income for our family. Once again, I was approached by readers – only this time they were asking for help in their lives. So I launched my life consulting and workshop offerings. This year, I helped many people one-on-one uncover their potential, purpose, and intention. I helped a man in Brooklyn determine his next career path as his family grows. I helped a lovely Australian woman uncover her desired career and approach her job search in an intentional way that led to the position she really wanted. I helped a mother in Washington address her complicated relationship with food and body image in a way that led to peace and a profound understanding of why she really struggles with weight. But along this journey, I haven’t shared these stories. Though living with intention is the biggest value I have to share, I have not given it the same attention that I have to the business projects and endeavors (outside of the workshops and blog content). 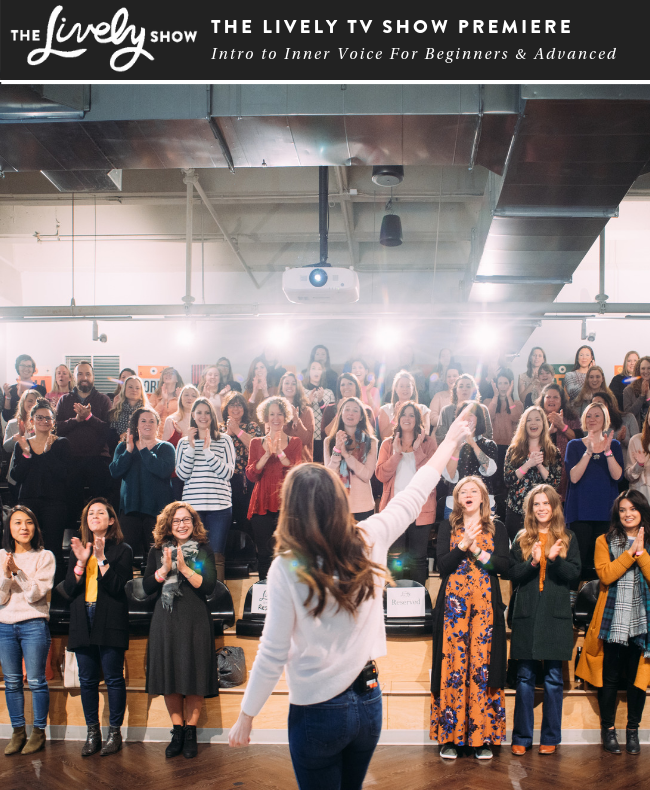 I am honored to have helped hundreds of business owners through the one-on-one sessions, live workshops, meet-ups, the ebook, and now the Workshop At Home. But it is time to explore the life side of intention in a deeper way. 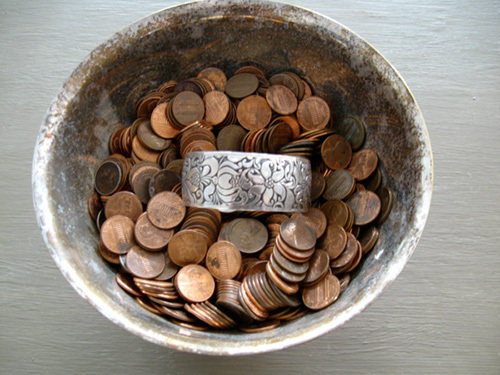 To do this, I am adding more life with intention projects and exfoliating a few other projects. As I have learned all too well over the years, I cannot continue to roll out new endeavors without pruning back on other projects. With the help of Blair and Mr. Lively, I have added a new navigation feature at the top of the site. This category bar will help new readers understand exactly what kind of content to expect on the blog. It will also help those searching for posts on a particular topic to quickly locate the items they want to read. Over the next month, I am working on a new podcast that will allow me to expand the concept of living with intention in a whole new way. I will be sharing conversations with people who are designing their lives with intention, as well as other fun topics which are not intention-focused. The business newsletter will now be shared directly on the blog each Wednesday to help streamline the amount of content I create. It has been a challenge to find time to write the newsletter in addition to another blog post (or two). For people who only read the newsletter, I will continue to send out the WILW emails each Wednesday with a link to the blog post so that they can continue to follow the business content exclusively. Though I have loved running the Business in the City group for the past two years, I want to make sure that I maintain a manageable workload as I shift to creating more offerings for Life with Intention. To this end, I will be passing the Business in the City torch to a new leader (or two) starting in December. This means that the group will continue as usual under new leadership going forward. I’ll be sharing more details about this transition in November. As I re-calibrate this balance between life and business, I feel a sense of lightness, peace, and curiosity. Each year, I find that something large seems to shift in my career. I can only wonder what will happen next. Thank you so much for joining me on this journey, I cannot wait to serve you in even greater ways in the months and years to come! It’s hard to believe, but the Austin, Texas Life and Business with Intention workshops are only a month away! 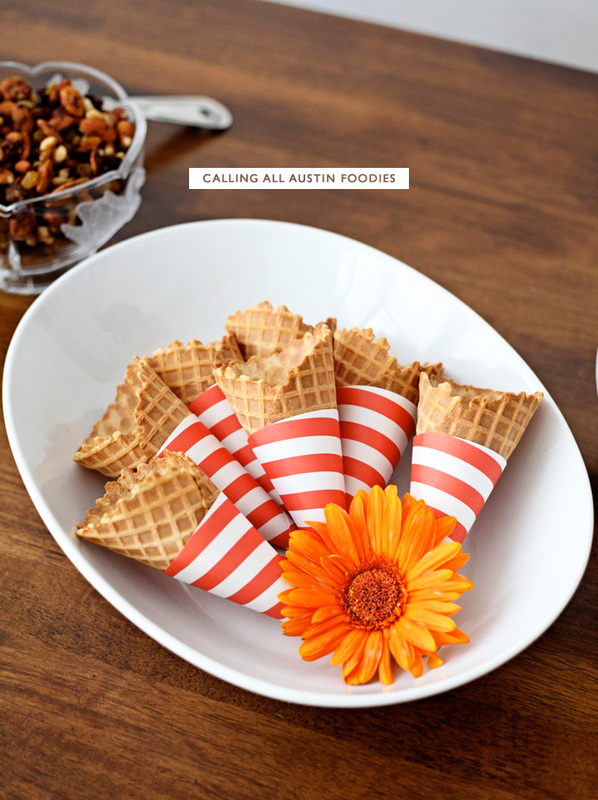 Jen is getting ready to select the Austin foodie, stylist/assistant, and scholarship spots. So please submit your application emails by May 6th. Foodies need only to have a passion for cooking and assistants are encouraged to style the event as beautifully as they like. We’ve had some amazing foodies and assistants in the past- you can see their work in the recaps for both Boston and San Francisco. Foodies and assistants are paid and featured here in the workshop recap. Jen is also securing the goodie bag items for this workshop – so if you are a small business owner looking to support the workshop and get featured in the recap here on the blog, reach out to Jen at hello(at)with-intention.com.